Emergency stop switches from Omron Electronics are designed to halt equipment and facilities in the case of an emergency making them a crucial part of any industrial operation. 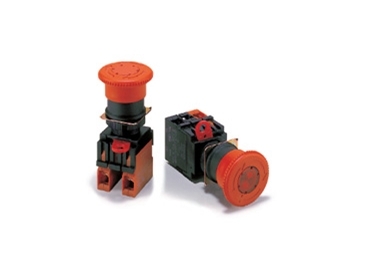 Emergency stop switches can be used in safety circuits in combination with safety relay units. Omron Electronics understand the importance of fully functioning and reliable emergency stop switches and are dedicated to providing products that maximise safety and minimise incidents.